ClioSwap Option Power Supply: CPS-1 | Altus, Inc.
Power Supply for Back-up Power. 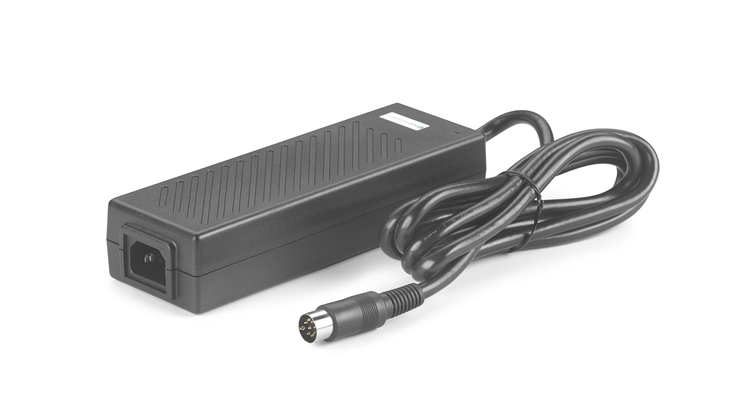 This optional power supply conveniently brings power into power technology equipment on it’s own. Cord is 6’ extended and 3’ relaxed providing enough reach to get to available mobile IT battery carts. Always have power 24/7. Paired with Altus ClioSwap, the swappable power and lightweight workstation on wheels is designed and tested for real-world use. The system utilizes a single battery that can be hot-swapped and is design to work with thin-clients and LCD’s. ClioSwap is always having the ability to power up technology components. Keeping clinician workflow flexible and uninterrupted. The hospital IT cart is a lightweight, mobile solution with the lowest initial cost.